Washington: Droughts in the U.S. Southwest and Central Plains during the last half of this century could be drier and longer than drought conditions seen in those regions in the last 1,000 years, according to a new NASA study. The study, published in the journal Science Advances, is based on projections from several climate models, including one sponsored by NASA. The research found continued increases in human-produced greenhouse gas emissions drives up the risk of severe droughts in these regions. "Natural droughts like the 1930s Dust Bowl and the current drought in the Southwest have historically lasted maybe a decade or a little less," said Ben Cook, climate scientist at NASA's Goddard Institute for Space Studies and lead author of the study. "What these results are saying is we're going to get a drought similar to those events, but it is probably going to last at least 30 to 35 years, " he added. North American map of estimated ground moisture in 2095 based on a moderate emissions scenario Soil moisture 30 cm below ground projected through 2100 for moderate emissions scenario RCP 4.5. The soil moisture data are standardized to the Palmer Drought Severity Index and are deviations from the 20th century average. The scientists analyzed a drought severity index and two soil moisture data sets from 17 climate models that were run for both emissions scenarios. The high emissions scenario projects the equivalent of an atmospheric carbon dioxide concentration of 1,370 parts per million (ppm) by 2100, while the moderate emissions scenario projects the equivalent of 650 ppm by 2100. Currently, the atmosphere contains 400 ppm of CO2. 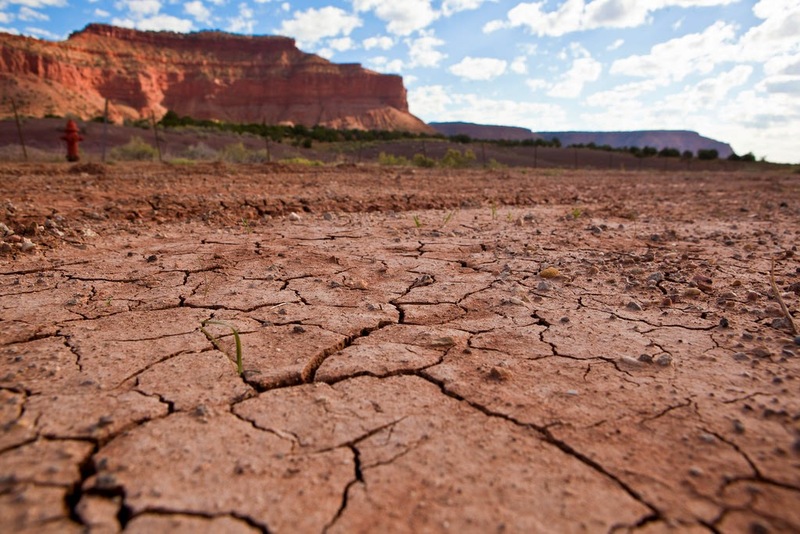 "Those droughts had profound ramifications for societies living in North America at the time. These findings require us to think about how we would adapt if even more severe droughts lasting over a decade were to occur in our future," Anchukaitis said. NASA monitors Earth's vital signs from land, air and space with a fleet of satellites and ambitious airborne and ground-based observation campaigns. NASA develops new ways to observe and study Earth's interconnected natural systems with long-term data records and computer analysis tools to better see how our planet is changing.